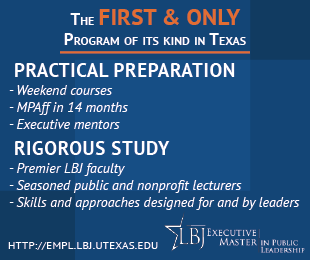 Marc Neves, BBA, MPA ’90, Life Member, spent 5 days touring the spectacular sights in Iceland. 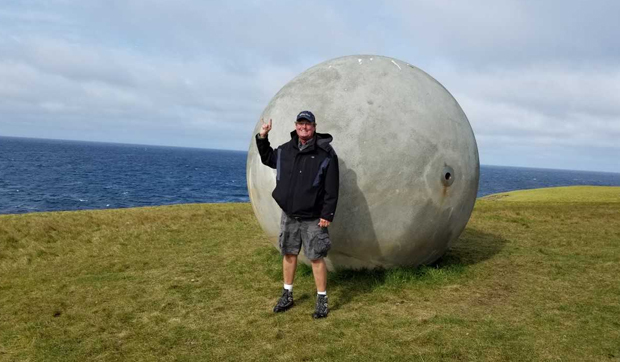 He stopped on Grimsey Island and visited the 17,600-pound concrete ball named Orbis et Globus, created to mark the edge of the Arctic Circle. 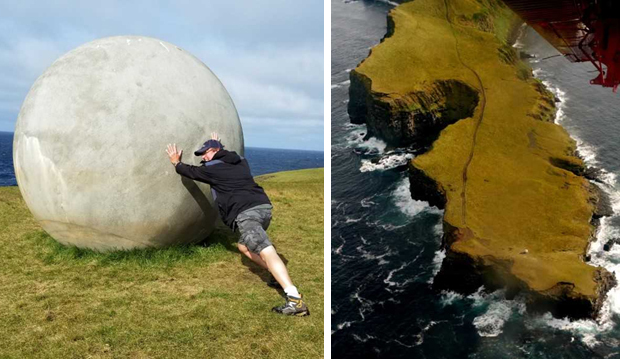 The ball is moved every year to track the ever changing Arctic Circle, which has crossed through Grímsey for three centuries and continues to move north.